Standing desks either work or they don't. After meeting a baseline of quality construction and functionality (stability, smooth transitions, etc. ), it's all about taste. 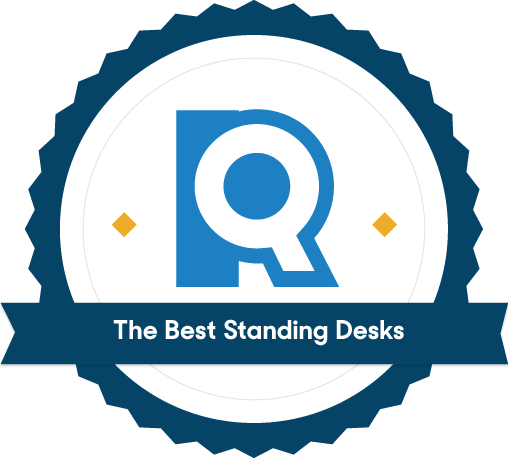 We started by testing nine of the most popular standing desk models for function, and then focused on form. 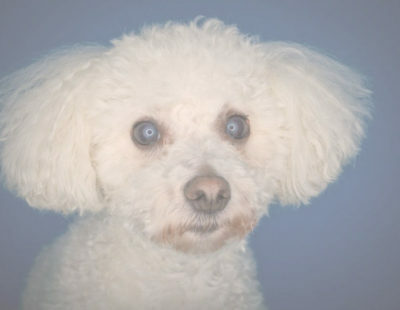 Our top picks nailed the basics, but our winner was by far the prettiest of the bunch. 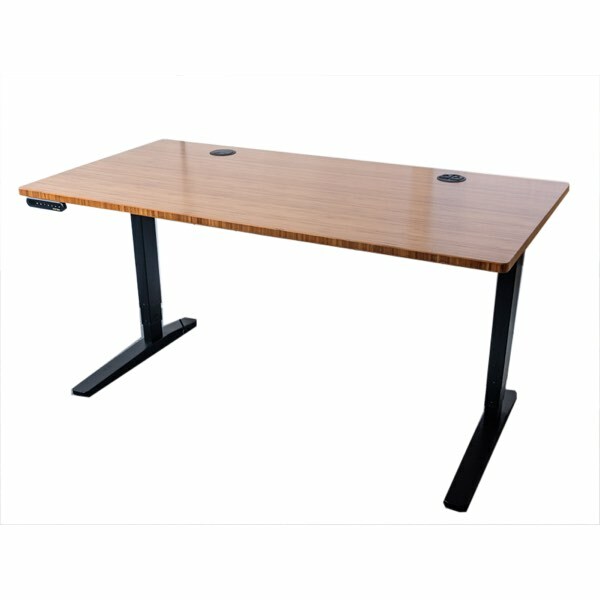 We wanted desks that could accommodate a wide variety of body types, so we looked for models that could reach at least 48”, with a 20” sit-to-stand range, which is ergonomically okay for folks up to about 6’7” tall. 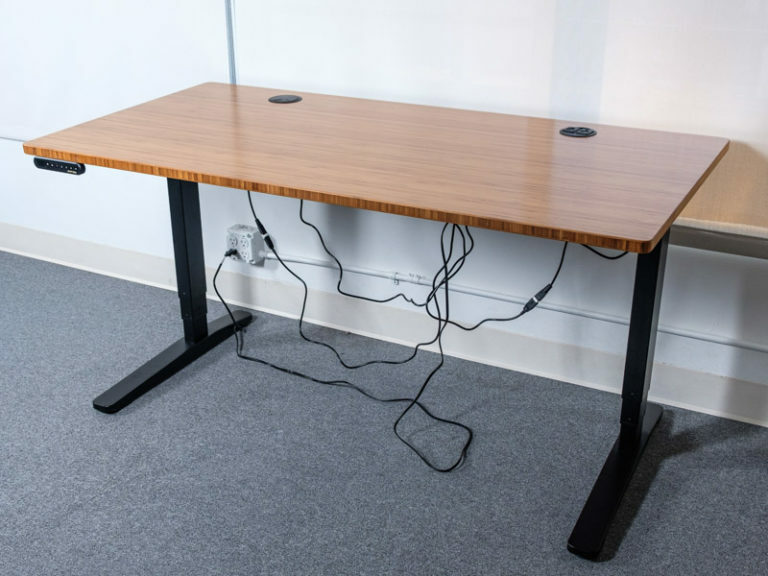 A standing desk can be a major expense, especially for companies looking to furnish their offices — standing desks are typically between $500 and $1,500, but a one-of-a-kind desk from Uplift’s Artisan series is nearly $4,000. So we avoided any companies that didn’t offer a warranty on frame and electronics. We’re gonna be honest: Most of them posed challenges. Three of the 13 were missing nuts, bolts, or assembly tools. Six had missing or misaligned pilot holes. Power tools solved the second problem, and all the companies we spoke with were apologetic and quick to send replacement parts. But we’d suggest assembling your desk when you’re not crunched for time. The NewHeights Elegante was the most painful. One power drill and nearly two hours later, its end result was underwhelming: some of the screws’ grooves were filled with a mysterious glue, making them impossible to use, and we ended up with a wobbly $1,400 desk. The UpDesk Ultra UpWrite, by comparison, took just 40 minutes for an inexperienced desk assembler to put together. At this stage, we immediately crossed off the NextDesk: Its motor was by far the noisiest, and the desk wobbled during conversion. Adjusting this one from sitting to standing several times per hour — as experts recommend — is definitely annoying. Colleagues in our office looked up from their work, distracted by the noise, even over the office’s fan and background music. The rising actions of the Rebel Desk and the Stand Up Desk were the jerkiest. Their hand cranks made our testers’ monitor and coffee shake as if it were in a minor earthquake, a disincentive against converting your desk often — and a major drawback when that’s the whole point. But the Stand Up Desk, at least, atoned by offering a lower price than we could find anywhere else ($339). A reasonably priced desk that is more furniture than office fixture. The contoured front edge features an attractive bevel that makes working more comfortable. That contour follows the curve of your body — it practically tucks you into your work space — and allows you to comfortably reach more of your desktop. It also provides an appealing resting spot for your forearms. This nuanced design makes the $80 increase from a plain rectangle version absolutely worth it. We were instant fans of the Jarvis' contour shape and beveled edge. 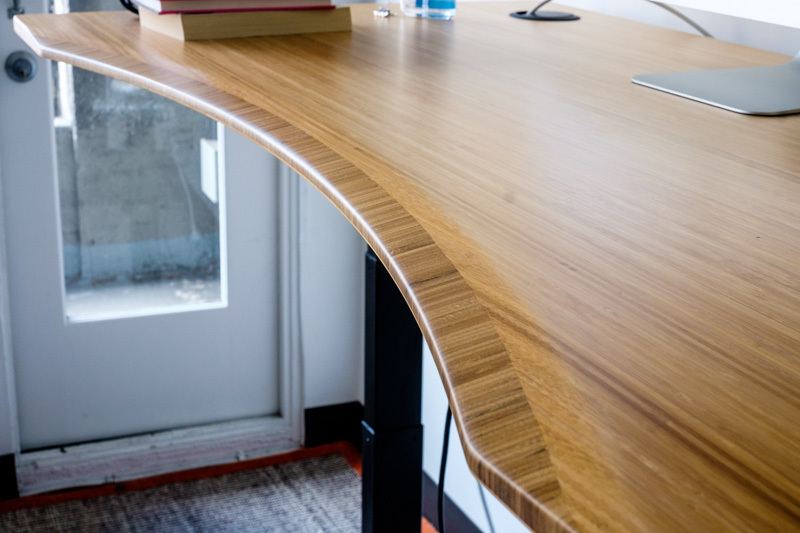 This bamboo is gorgeous: rich and lustrous, and glossier to the touch compared to some of the grainier bamboo options we tested from Uplift and Nextdesk. The Jarvis’s frame is solid steel, with three options (black, silver, and white), and it can support upwards of 350 pounds — go ahead and pile on some books! They aren’t going anywhere. You essentially build your desk to your specifications online, and then it arrives on your doorstep, ready to be assembled. The design process for a Jarvis walks you through desk shape, frame color, and size, tallying up your price as you go. A power grommet that you can plug a computer into will add $70 to your total. The “programmable memory” handset that shows you a digital readout of your desk height and allows you to lock in four preferred height settings will add another $35. We liked having so many optional extras and being able to infuse our personal style in the design. If we had one small gripe with the Jarvis, it was with the mechanical “thudding” sound we heard when it lowered. While not overly-distracting, it was still noticeable when compared to quieter desks like the Uplift. Neck and neck with the Jarvis, but not quite as lovely to work at. Testing the Uplift’s Sit Stand Desk after the Jarvis felt a little like déjà vu — in a good way. Bamboo top: check. Programmable handset with four presets: check. Pretty much the exact same add-ons, price, and variety of desk options: check, check, check. Your Uplift desk comes with an 18-by-30-inch gel-foam mat to stand on, which we loved — although we weren’t quite as taken with the included coozie. The mat made working while standing significantly more comfortable. 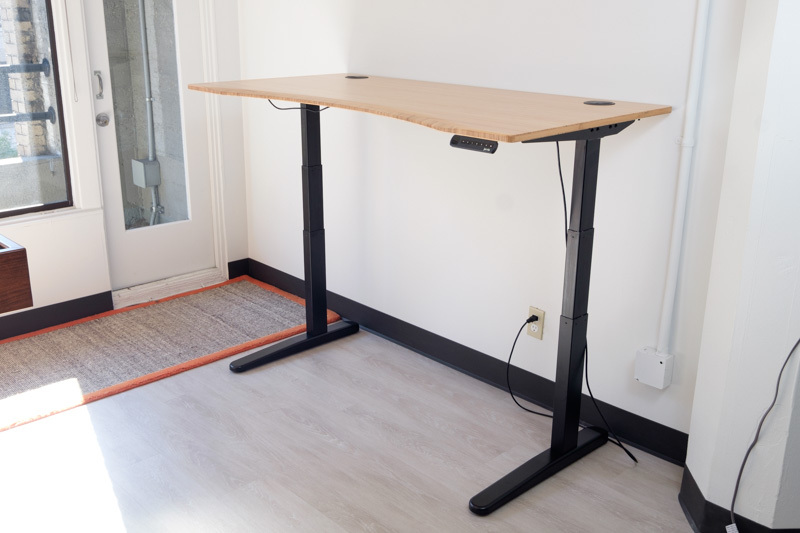 We’re certain most people who stand at their desks will eventually want a standing desk mat, and they can cost over $100. While getting a free mat worth $100 is great, what if you already have one? Seems like the folks at TheHumanSolution.com thought of this as well. In the event that you already have a mat or don’t want one, you can select a free pair of under-desk hooks, or a four-port USB hub instead. While it was one of the sturdiest desks we tested in the sitting position, at max height (50.5”), you’ll feel some wobble, especially compared to the rock-solid Jarvis. This was especially disappointing for the Uplift considering it’s a C-frame (as opposed to a T-frame), a design that is supposed to offer more stability. A roomy desk that’s considerably cheaper than comparable sizes from our top picks. We found the Apex’s 71”x33” contoured desktop quite roomy. A monitor and keyboard only take up about a third of the space, giving you plenty of room for an additional monitor, your collection of Far Side calendars, or whatever else you need to get through your workday. When we raised this desk to its max height and inflicted our best earthquake impression on it, the Apex hardly budged. It’s much more stable than the Uplift and, like the Jarvis, it was able to lift a full cup of water with barely a ripple as we raised and lowered our desktop. Unlike the Jarvis or the Uplift, the Apex is also available through Amazon, which gives you the option of purchasing expert assembly. This service probably isn’t worth the extra $100 if you’re fit and able-bodied, but it did cut down on our assembly time. Our installer was able to put the Apex together in just under 30 minutes (though he did need to use a power drill to add a couple of missing holes). General construction quality is where the Apex lags. 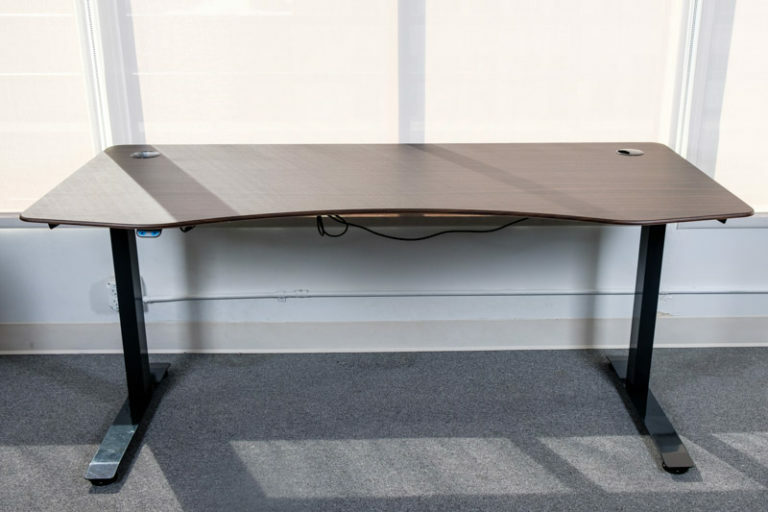 Unlike the gorgeous, sturdy bamboo desktops of the Jarvis and UpLift, the Apex is made of fiberboard, and while it can hold up to 225 pounds, one of our installation techs warned that he’d seen this desk crack when overloaded. The Apex matches the Jarvis in its fast, steady rise, but it’s a few inches shorter. Its manufacturing specs claim a 48” max height, but when we measured our model, we found that it capped out at 46”, which is not only a frustrating inconsistency but could also be a problem for taller folks. A two-tiered desk with a hand crank. The wobbliest of our picks, but also the cheapest. 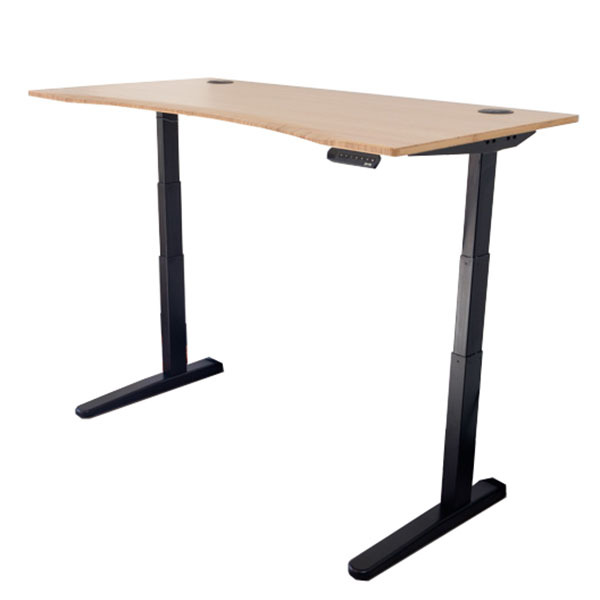 The Stand Up Desk offers a posture-friendly two-tier design. This split helps maintain an ergonomic position — a computer monitor lifted to eye level on the top tier with your keyboard at a lower level. The tiers themselves are quite shallow. For minimalists, this shouldn’t be an issue, and if you’re looking for a desk with a small overall footprint this is a good option. But if you tend to spread out, it’ll be hard to avoid knocking things off. Available on Amazon for less than $350, the Stand Up Desk is less expensive than any of our other top picks. Even the most basic Jarvis models start at about $400 (those design modifications, starting with our preferred contour top, quickly add up). So if you’re looking to improve your workday ergonomics without too much investment, the Stand Up desk is an affordable choice. We splurged on expert assembly ($100 from Amazon), but thanks to confusing instructions, it still took an experienced technician almost two hours to put this desk together. 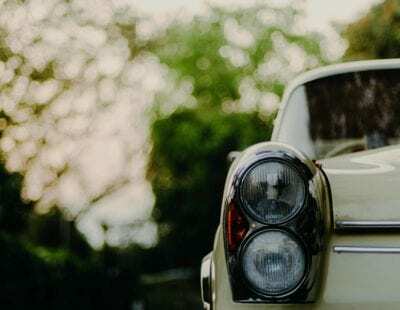 If you’ve got the time and patience for this kind of construction, this may not be a dealbreaker, but compared to our other top picks, most of which were assembled in less than half that time, we found this setup needlessly complicated. We weren’t wild about this feature — we found the cranking process tedious enough that we adjusted this desk less throughout the day than our other picks, and when we did, it wobbled to the point that we almost spilled our water. 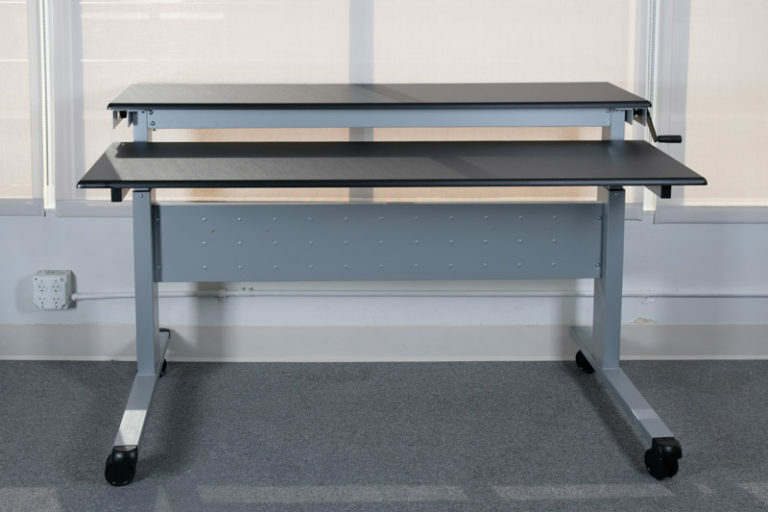 This desk can also only handle 154 lbs, the lowest lifting capacity of any of our top picks. 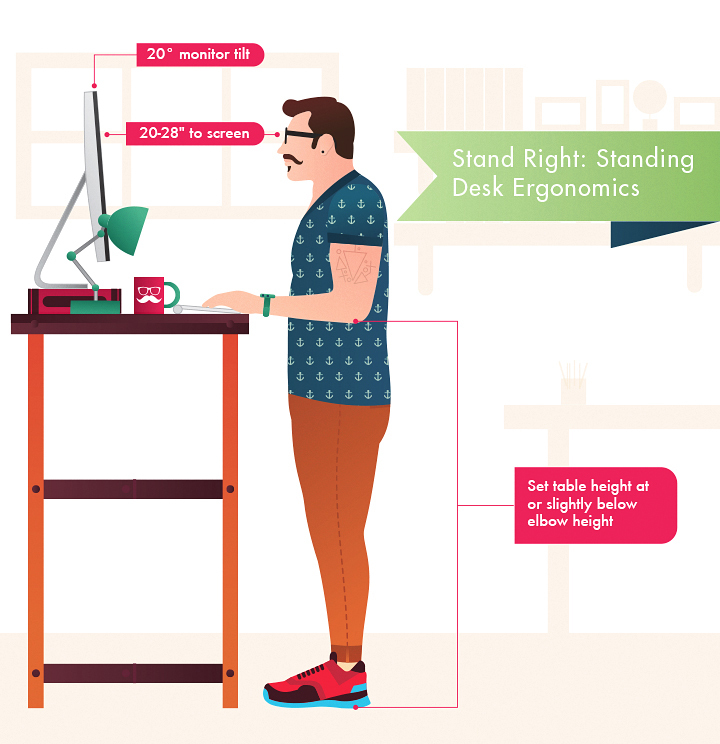 Knowing your height will help you determine the max height you will need your standing desk to be. With everything including the monitor, you should be able to stand comfortably with eyes forward; no craning of the neck. 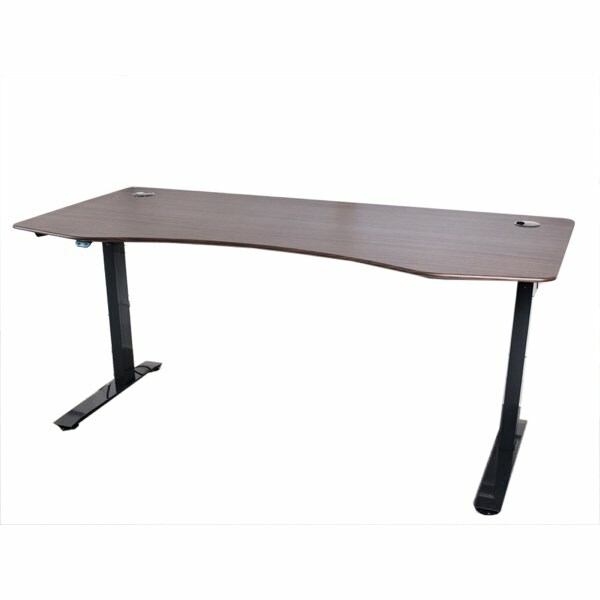 Most of the desks we covered and our top picks should have sufficient height with the Uplift Height Adjustable Sit Stand Desk having the tallest max height. You’ll want to make sure you can handle the assembly of your standing desk. Some have very minimal assembly requirements while others, like the ApexDesk, are a little more complex. It can take anywhere from half an hour to several hours to get a new standing desk set up. If you purchase your desk through Amazon, you do have the option of expert construction. Do I need a standing desk for my health? The influx of fear-mongering infographics, TEDx talks, and articles would certainly have you think so. Countless sources warn that too much sitting causes increased risk of high blood pressure, heart disease, obesity, premature death. Of course the opposition to standing all day has been just as strong, raising concerns like: varicose veins, back and foot problems, and horror of all horrors, cankles. We think Dr. Lucas Carr, an expert in physical activity promotion and sedentary behaviors, sums it up best in his middle-of-the-road assessment: “a sit-to-stand desk is a solution for those who will use them. The research shows prolonged bouts of sitting and standing can result in negative health consequences,” says Dr. Carr, when looking at both sides of the argument on the benefits of standing desks. “But I don’t think we should demonize [either] based on this research.” All the experts we spoke to recommended movement, a combination of sitting and standing throughout the day. 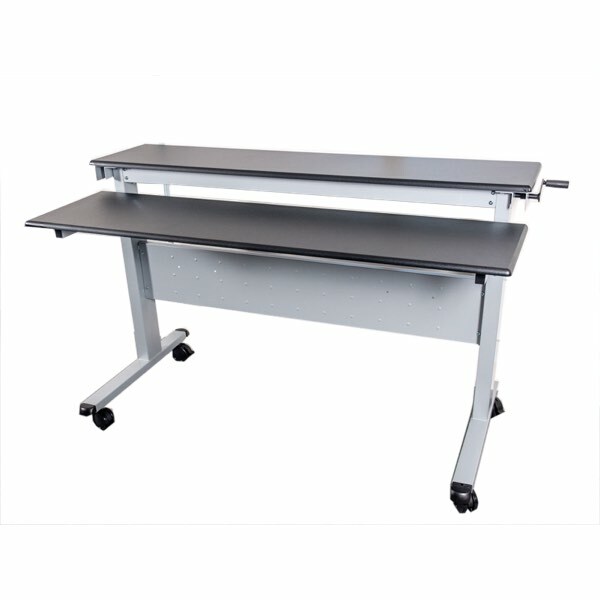 Is a standing desk HSA-eligible? Some standing desks might be eligible for Healthcare Savings Account (HSA) or Flexible Spending Account (FSA). You’ll need to check with the company that produces and sells the standing desk in question to learn more. You will also need a letter from your doctor that illustrates medical necessity along with the diagnosis and how this will help alleviate the problem. What’s the best way to use a standing desk? Ergonomics are key. The top of your monitor should be at or just below eye level (make sure your head isn’t angled down! 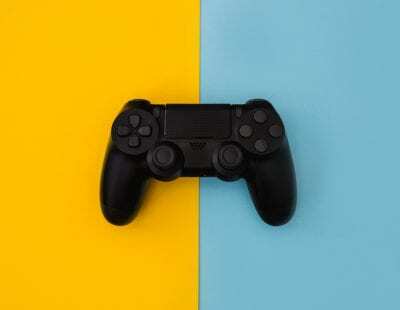 ), and your eyes should be 20 to 28 inches from the screen. Keep your upper arms close to your body, your wrists straight, and your hands at or below wrist level. The table height of a standing desk should be at or slightly below elbow height — basically make a 90-degree angle with your elbow. Your head, neck, and torso should be in line, and your keyboard and mouse should be at the same level.